Despite the recent attention, Owens told Fox News the concept of Blexit developed over time. As for the name, she recalled, it formed almost by accident. She was at the Conservative Political Action Conference in February 2017 and a radio interview had gone long, coinciding with President Trump’s speech at the event. 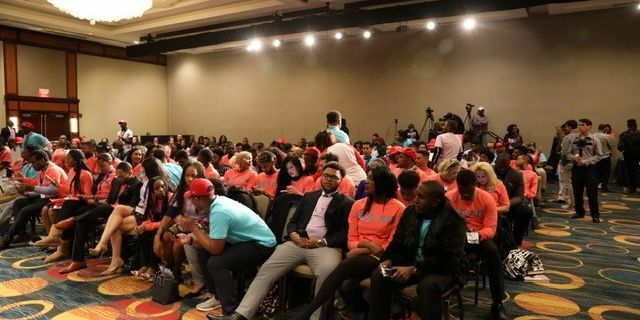 Attendees of the Blexit announcement await the "Black State of the Union" speech delivered by Candace Owens, as she announced "Blexit." (Christopher Howard/Fox News). 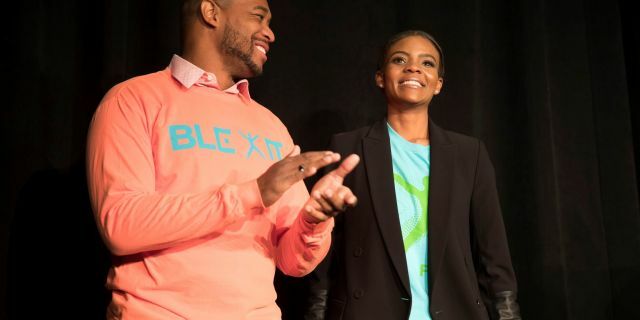 Owens then purchased the "Blexit" domain, and started garnering support. Fast forward to today, and she’s added “Founder of the Blexit Movement” to her resume, next to communications director at Turning Point USA. The movement is geared toward the next election cycle, not the midterms. Owens said she is focused on the 2020 elections and plans to hold rallies in every major American city she claims has been hurt by Democratic policies including Chicago, Philadelphia and Detroit. Owens came under fire last week when she tweeted her doubts that the person behind a spate of mail bombs sent to Democrats was a conservative. Cesar Sayoc has been charged in the case and is an avowed supporter of President Trump. CRISIS AT OUR BORDER: Recent illegal immigration data show the urgent need to address the crisis at our border sparked by catch-and-release loopholes backed by Congressional Democrats. 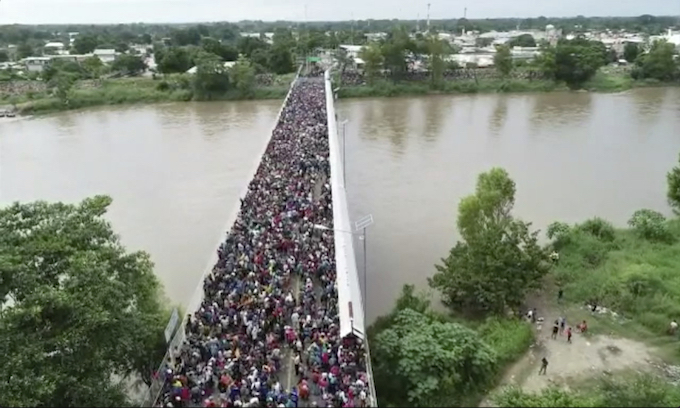 · The surge of aliens from Central America crossing our borders, thanks to our outdated laws demanding catch-and-release, has created a dire crisis at our border. 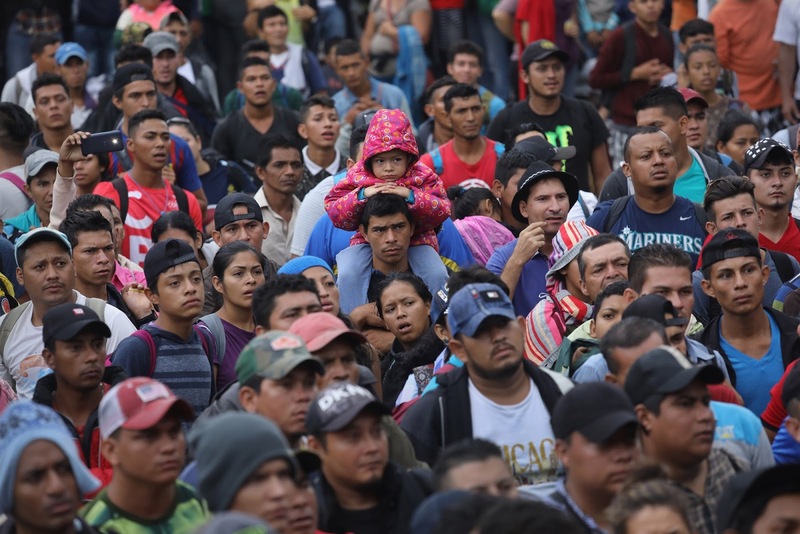 o Customs and Border Protection (CBP) apprehended 94,285 Central Americans as part of family units at the border last year, 99 percent of whom remain in the Country today. o CBP apprehended 31,754 unaccompanied minors from the Northern Triangle of Central America last year, 98 percent of whom remain in the Country today. · The number of illegal alien family units we can remove in a year is roughly equivalent to the number that cross our borders in 48 hours. DEMOCRAT-BACKED LOOPHOLES FORCE THE RELEASE OF APPREHENDED ALIENS FROM CENTRAL AMERICA: Congressional Democrats helped create loopholes that make it nearly impossible to remove many illegal aliens. 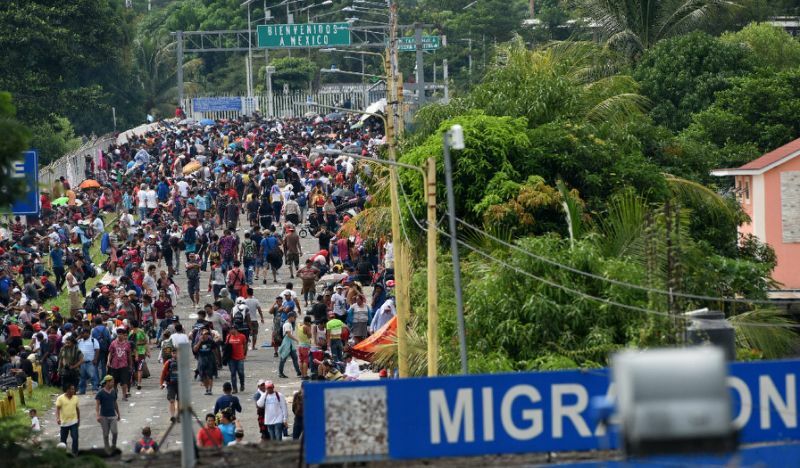 · Outrageous catch-and-release laws and court rulings have resulted in de facto immunity for illegal alien minors and adults from Central America who arrive at the border with them. 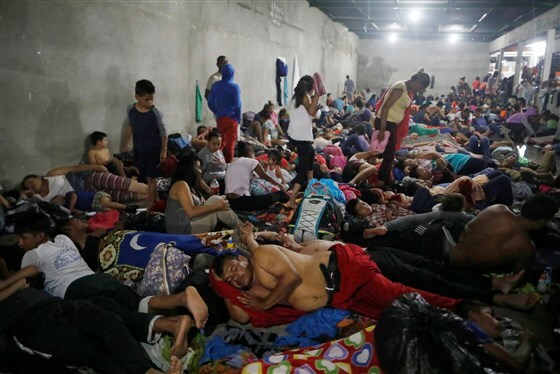 · Sen. Dianne Feinstein pushed the Trafficking Victims Protection Reauthorization Act, which prevents the speedy return of unaccompanied minors from non-contiguous countries. · Judicial orders interpreting a Clinton-era consent decree, known as the Flores Settlement Agreement, hinder the Government’s ability to detain and remove alien family units. o The effect is that the Government is forced to release entire family units into the interior of the United States, after which they often fail to appear for their court hearings. o Even if they do appear, it can take years to reach an initial decision in their cases. 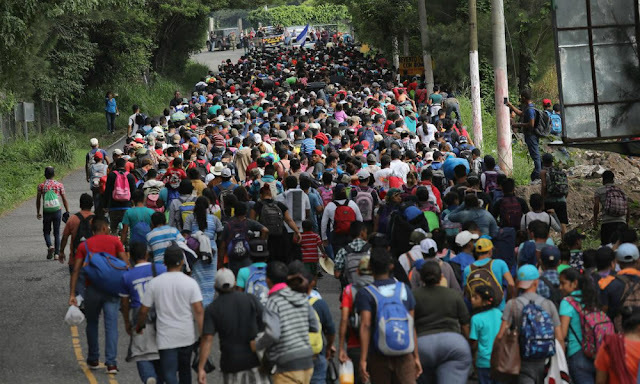 · Eighty percent of aliens claiming a fear of return to their home country get through the initial credible fear screening, but only 20 percent of those claiming asylum end up being granted it. 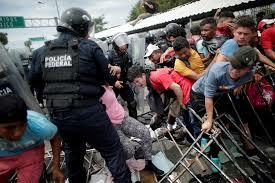 o Regardless, 99 percent of asylum seekers in family units are able to remain in the United States. · Illegal immigration has undergone a dramatic shift from what used to be mostly single adults from Mexico to now Central American family units and unaccompanied minors. o In fiscal year 2000, 98 percent of aliens apprehended by United States Border Patrol were from Mexico, but today nearly 60 percent are from Central America. 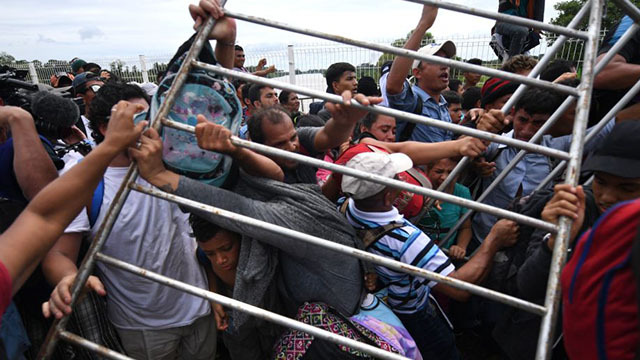 OPEN BORDER OBSTRUCTIONISTS: Congressional Democrats’ solution to the immigration crisis facing our Country has been obstruction and insistence on open borders. · Democrats defend loopholes that allow minors from Central America, and all adults traveling with them, to illegally cross our borders and remain while their cases are processed. · Democrats in the House even opposed the Criminal Alien Gang Member Removal Act, which would have helped remove criminal illegal alien gang members from our communities. · Earlier this year, every single Democrat in the Senate signed up to cosponsor a radical, open borders immigration bill by Sen. Feinstein to expand the existing catch-and-release loopholes. o Sen. Feinstein’s bill would effectively give amnesty to illegal aliens caught within 100 miles of the border, as long as they are accompanied by a minor. The provocative Donald Trump certainly seems to be disliked by a majority of African-American professional athletes, cable news hosts, academics and the Black Congressional caucus. Yet there are subtle but increasing indications that his approval among other African-Americans may be reaching historic highs for a modern Republican president. A recent Rasmussen Reports poll showed African-American approval of Trump at 36 percent. Even 20 percent African-American support for Trump would all but dismantle Democratic Party presidential hopes for 2020. Hillary Clinton lost the 2016 election with 88 percent of the black vote. That was about a six-point falloff from Barack Obama's share of the black vote in 2012. With continually diminishing white support, Democrats must increasingly count on massive minority turnout and bloc voting -- especially among African-American voters, who make up about 12 percent of electorate. Roughly a third of Asians and Latinos vote Republican, and voter turnout among these groups generally isn't as strong as it is among whites and African-Americans. Under Trump, the economy is growing at nearly 4 percent per year. The robust growth coincides with Trump's effort to curb illegal immigration and imported labor. The net result has been to empower minority job applicants in ways not seen in nearly half a century. Trump's implicit message is that every American worker is now crucial in maintaining the red-hot economy. In a job-short economy, laborers suddenly have a lot of leverage over their employers. And wages are rising. Trump's nationalist message adds to this sense of empowerment, especially when he campaigns on putting Americans first in his economic decision-making. Yet liberal family-planning advocates were not always shy about their occasionally eugenics-inspired agendas of the past. The spiritual founder of Planned Parenthood, Margaret Sanger, was an unapologetic eugenicist who professed that the object of birth control was to discourage the reproduction of those she derided as "the unfit." Supreme Court Justice Ruth Bader Ginsburg, a liberal icon, once couched her support for abortion in neo-eugenic terms. In a disturbing 2009 interview, she was quite blunt: "Frankly I had thought that at the time Roe was decided, there was concern about population growth and particularly growth in populations that we don't want to have too many of." Trump might also make it clear that his message is geared to all Americans, including African-Americans. As a group, they are already doing better economically today than during the Obama administration -- and everyone gains political clout when politicians must work for, rather than feel entitled to, their votes. Victor Davis Hanson is a classicist and historian at the Hoover Institution, Stanford University. His latest book is The Savior Generals from BloomsburyBooks. A new Republican women's group who is "fed up with Trump" and pouring cash into toss-up congressional districts is bankrolled solely by a male billionaire venture capitalist, Reid Hoffman, who is a major donor to Democratic campaigns and causes, Federal Election Commission filings show. Republican Women for Progress, a Washington, D.C.-based "grassroots" nonprofit, was founded by Jennifer Pierotti Lim and Meghan Milloy and is comprised of "right-leaning" women who are opposed to President Donald Trump. Their PAC is active in New Jersey, Kentucky and Michigan. The group has garnered glowing national media profiles that include a ten-minute segment on CBS News and articles in publications such as Glamour, Slate, and others. The group is so far active in competitive congressional districts in New Jersey, Kentucky, and Michigan. "We think the best thing that we can do for the party and for the country right now is to make sure there are good women—Democrat or Republican—that are elected to office and who can serve as a check on this administration and on the president," Milloy told the Detroit Metro Times. "[This effort] really was inspired by us talking to Republican women in these districts where they said there was just no way that they could vote for the Republican." The group established a political action committee, the Republican Women for Progress PAC, on Sept. 13 to support their work for the midterms and has since spent $231,000 on independent expenditures for voter recruitment and advertisement productions in the toss-up districts in three states. The PAC disbursed $76,000 on ads and recruitment in support of Mikie Sherrill in New Jersey's 11th congressional district, $78,000 backing Amy McGrath in Kentucky's 6th congressional district, and $77,000 on Elissa Slotkin in Michigan's 8th congressional district. 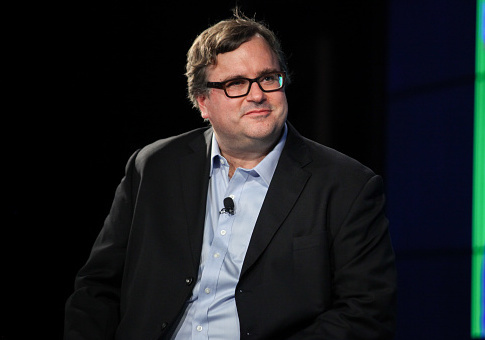 The PAC's October quarterly filing—the first from the group—also shows that the group of Republican women is bankrolled by just one donor: Reid Hoffman, a venture capitalist and co-founder of LinkedIn, who is a major donor to Democrats. Hoffman cut a $400,000 to the PAC on Sept. 27, its filings show. Hoffman has pushed millions into the coffers of Democratic committees and campaigns this cycle. Hoffman provided $3 million to the House Majority PAC, a PAC closely affiliated with House Minority Leader Nancy Pelosi (D., Calif.) that is focused on electing and keeping Democrats in the House of Representatives; $2 million to the Senate Majority PAC, a PAC dedicated to electing and preserving Democrats in the Senate; and $1 million to Forward Majority Action, a group launched by former Obama alumni. Hoffman also sent a maxed contribution to the Democratic National Committee and pushed cash to the campaigns of Democratic Sens. Sherrod Brown (Ohio), Tim Kaine (Va.), Joe Manchin (W.Va.), Bob Casey (Pa.), Bob Menendez (N.J.), Heidi Heitkamp (N.D.), Claire McCaskill (Mo. ), Phil Bredesen (Tenn.), and Tammy Baldwin (Wis.) among others. The venture capitalist additionally sent money to a number of Democratic candidates for the House of Representatives and the Massachusetts Republican Party. The co-founders of Republican Women for Progress previously led Republican Women for Hillary during the 2016 elections. That group was featured on Full Frontal with Samantha Bee, Yahoo News, Wall Street Journal, the Hill, U.S News and World Report, and the New York Times. "In terms of the Reid Hoffman donation, even a male tech billionaire and major Democratic donor recognizes the important role women should play in the Republican party. We are pleased to have the support of donors across the ideological spectrum to ensure the voice of republican women is heard across the country." 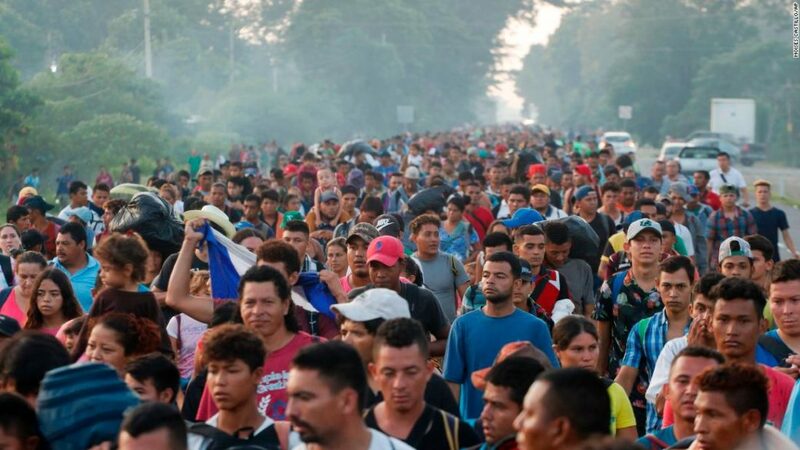 Mexican federal police chief Manelich Castilla, speaking from the border town of Ciudad Hidalgo, told Foro TV that his forces achieved their main objective of preventing a violent breach by the 3,000-plus migrants. In a separate interview with Milenio television, he accused people not part of the caravan of attacking police with firecrackers and rocks. Cristian, a 34-year-old cell phone repairman from San Pedro Sula, said he left Honduras because gang members had demanded protection payments of $83 a month, a fifth of his income. It was already hard enough to support his four daughters on the $450 he makes, so he closed his small business instead. Back on the Guatemalan side, some people set up tarp shelters. 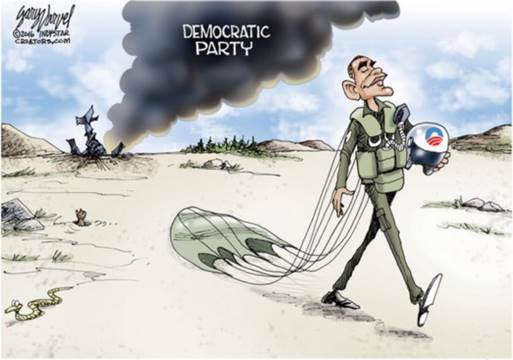 In the wake of Obama, the Democratic party was a shipwreck, to be saved only by Hillary and the Supreme Court. 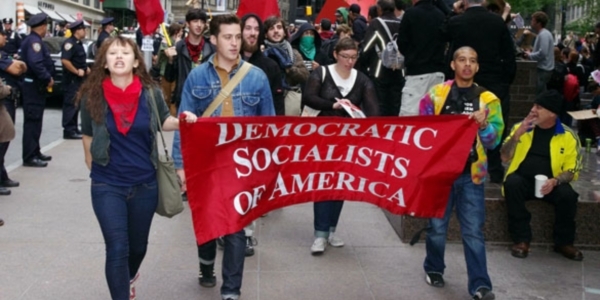 What has transformed the Democratic party into an anguished progressive movement that incorporates the tactics of the street, embraces maenadism, reverts to Sixties carnival barking, and is radicalized by a new young socialist movement? Even party chairman Tom Perez concedes that there are “no moderate Democrats left,” and lately the rantings of Cory Booker, Hillary Clinton, Eric Holder, and Alexandra Ocasio-Cortez confirm that diagnosis. Paradoxically, Barack Obama won the presidency in 2008 and 2012 and yet helped to erode the old Democratic Party in the process. He ended up in opulent retirement while ceding state legislatures, governorships, the House, the Senate, the presidency, and the Supreme Court to conservative Republicans. 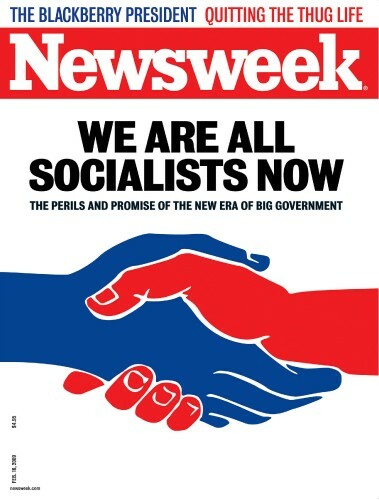 Do we remember the February 2009 Newsweek obsequious cover story “We Are All Socialists Now”? Supposedly, changing demography, massive illegal immigration, and identity politics had preordained a permanent 51 percent “Other” whose minority statuses, as defined by gender and race, had now become a majority, given the destined demise of the white working classes. If Obama had not existed, someone like Corey Booker, Kamala Harris, Elizabeth Warren, or Kirsten Gillibrand was supposedly foreordained to be president anyway. But while Obama sermonized about our predestined “arc of history” and how its moral curve bent this way and that, he managed to lose both his supermajority in the Senate and the House itself by 2011. By 2015, the Senate lost its Democratic majority. Ruling by pen-and-phone executive order only took the country more leftward. And it came at the price of stagnating the economy, acerbating social, cultural, and racial differences, raising taxes, and recalibrating foreign policy. Obama bequeathed to his successors neither a popular progressive record nor a robust economy nor a stellar foreign-policy success. If he did ensure massive minority voting registration and bloc voting, that served largely himself — and came at the cost of alienating independents and the working classes. In other words, Obama most certainly did pass on to his successors the downside of his polarizing sermonizing and divisiveness, but not the upside of record minority turnout and uniform voting. 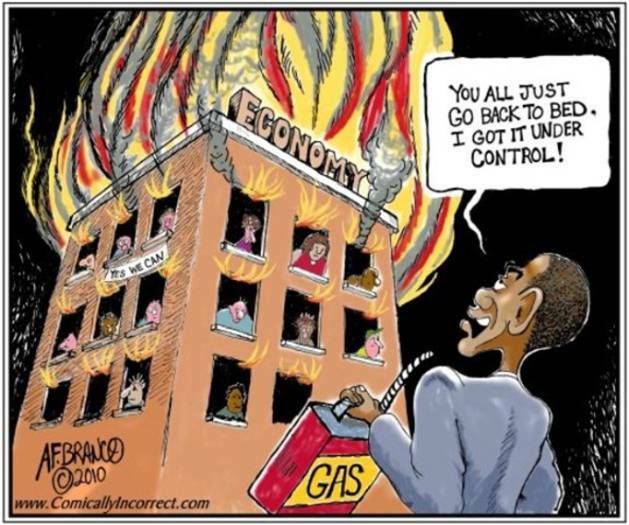 Progressives once thought that Obama was their godhead and their assured pathway to permanent power. 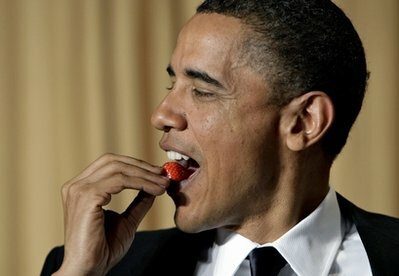 In those heady days of 2009, the American system of government was still deemed wonderful. Conservatives were bitter dead-enders, and the country was in the process of being fundamentally “transformed.” Basking in the rites and rituals of her role as first lady, Michelle Obama had finally learned, by her own admission, to be proud of her country. But then with the loss of local, state, and federal legislative power, progressives grew understandably bitter. Never had so much been promised and so little delivered. And they began to recalibrate Obama the erstwhile savior as mostly a narcissist who had thrived while emasculating his followers. That bitter disappointment was something akin to the shipwreck of Republican dreams of the late 1950s. Giddy after the elections of 1952 and 1956, Republicans had thought that a beloved Ike was their permanent salvation, when, in fact, Ike, but not necessarily his party, did well for a brief hiatus of two terms — after following 20 years of Democratic presidential rule and ushering in eight more. The 2016 election understandably embittered and radicalized Democrats — as happens when a party wins the popular but loses the electoral-college vote. And given the propitious start of the 2016 campaign, the election year certainly was not supposed to end that way. On Election Eve, the New York Times still preened that its various models and polls gave Donald Trump no real statistical chance of victory — or rather respectively a mere 15 percent, 8 percent, 2 percent, or less than 1 percent chance of winning the election. Such faux mathematical precision was invented to lend accuracy to suspect polls and biased models that were already eroding. The supposedly buffoonish Trump would not just humiliate but destroy the Republican party, as it split asunder — and as Never Trumpers joined liberals in blasting their comedic nominee. A boastful lame-duck Obama was lecturing the nation on the eve of the anticipated Clinton landslide that there was zero chance of any party, much less any nation, warping the U.S. election. Pre-election, a smug Hillary Clinton pontificated that Trump had to grow up and accept the impending verdict of the voters that would shortly demolish his candidacy and humiliate his person. She would add insult to Trump’s injury by sweeping Georgia and Arizona and by a landslide that would reinvigorate the Obama dream. Indeed, dozens of the careerists and progressive appointees at the Washington FBI, DOJ, CIA, and National Security Council took all sorts of risks to insure a Clinton blowout. They variously sought to warp the FISA court, subvert the Trump campaign, collude with Fusion GPS and its Russian sources, and weaponize the FBI to ensure the Clinton victory — on the premise that their unethical and often illegal behavior would soon be rewarded by the Clintons, who for decades had proven far less ethical than 2016’s miscreant minions. Hillary’s defeat caused unimaginable shock. It almost immediately prompted a collective psychological meltdown. The tragedy was not just that an inept Clinton had squandered the gifts of a $1 billion war chest, the deep-state collusion of the Obama administration, and a completely captive and obsequious media. But she had lost to Trump, the reality-TV-show host, the controversial raconteur, the first serious presidential candidate with neither military nor political experience. Worse still, Clinton had blown a huge lead by foolishly seeking an electoral mandate while Trump, the supposed dunce, outsmarted her analytics and young techies by battering down the blue wall and stealing her Democratic Midwest with a populist nationalist message, part JFK, part Ronald Reagan. Nothing is more humiliating than to be already doling out White House patronage jobs on Election Day at noon, and by evening suffering a shipwrecked candidacy and the certainty of eight more years of progressive rule incinerated. No wonder progressives were recently reduced to frenzied maenads gnashing their teeth and breaking their fingernails on the closed doors of the Supreme Court. In the past, the usual progressive attack on traditionalists and conservatives had been met with a sort of tsk-tsk appeasement, a Marquess of Queensberry forbearance from men and women who had learned their polite political manners at the country club. Then came Trump, who considered politics as a sort of televised WWE wrestling mat, and who enjoyed the political fray as much as he had when he once climbed into a real Wrestlemania ring with Vince McMahon. He said bluntly and often crudely what most had thought silently and soberly. Trump had a looney idea that millions of the deplorable middle and working classes had no innate advantages accruing from “white privilege” (whatever that still means) — and were tired of being told they did by those who really had clout and connections. Trump, crazily, said that globalization made more voters poorer than richer, and that making things in the U.S. still mattered. And the more the punditocracy wrote him off, the more it galvanized voters who despised talking heads. Had progressives just lost to Rubio or even Cruz, it would have been almost tolerable. And had they lost while still winning Michigan, Ohio, and Pennsylvania, they could have endured it. But to lose to an orange and combed-over Trump with a mile-long tie, who outfoxed their own Silicon Valley experts by demolishing their blue wall, only added terrible insult to staggering injury. Progressives soon woke up to the reality that without power they were unable to stop Trump, and so they embraced any desperate means necessary to trap the ogre. The effort proved as frenzied as it was impotent: boycotting the inauguration, suing over state voting machines, using the courts to stymie Trump appointments and executive orders. They tried appealing to the emoluments clause and the 25th Amendment of the Constitution. 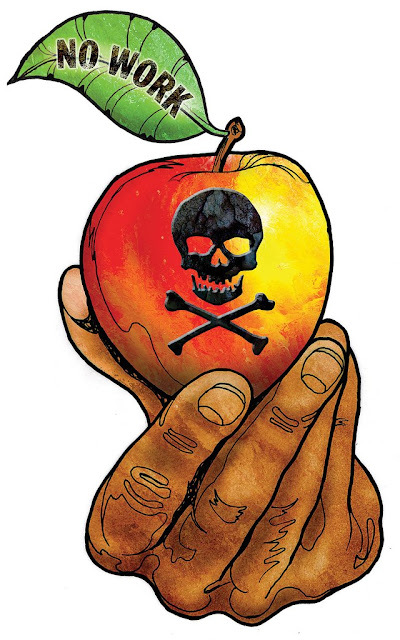 They began winking and nodding at the assassination chic of celebrities and politicos such as Johnny Depp, Peter Fonda, Kathy Griffith, Madonna, Robert de Niro, Snoop Dogg, and a host of others. The many methods to subvert Trump’s presidency or fantasize about his gory death were as varied as the number of faux-accusers who would come out of the woodwork to smear Brett Kavanaugh. And the result was eerily the same: the more the impotent frenzy, the more it discredited its source. 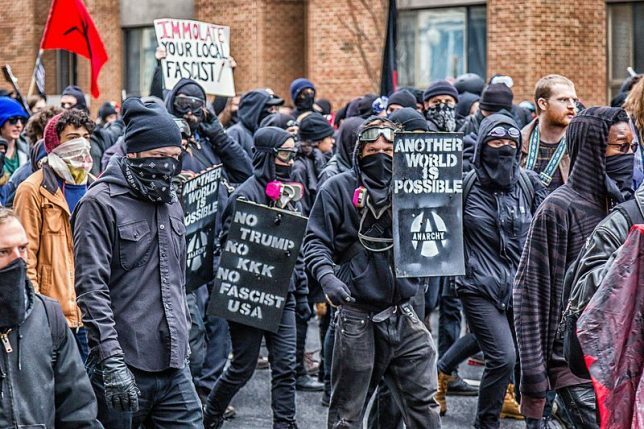 Blacks Lives Matter, Antifa, and #MeToo were all in a sense weaponized to do what elections had not. 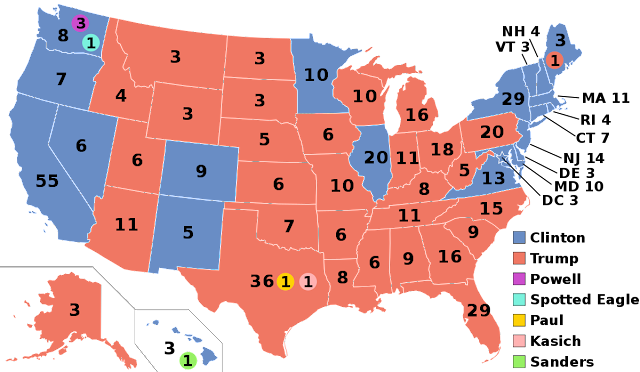 Finally, in exasperation, Democrats have begun demonizing the Electoral College itself, which has gone from the legal basis of Obama’s treasured “blue wall” to a relic of old, white male Founders who supposedly favored rural hicks over the better people of the cities. Progressives now damn the idea of a nine-person Supreme Court and mysteriously praise the discredited, hare-brained scheme of FDR to pack the court with progressive toady judges. They bitterly lament the unfairness that a Wyoming or Montana might have as many senators per state as California or New York. They had no such complaint in 2009 when they had a Senate supermajority — a margin they won in part because a tiny progressive state such as Rhode Island had the same number of senators as odious conservative Texas. How could it be that a picture-perfect system that had empowered Barack Obama now gave the country Donald Trump? How unfair of the deplorable Founders to have bequeathed that ball and chain to the better people of 2016! If the system does not deliver the correct results to progressives every time, then change the damned system to ensure that it does! In 2008, all the stars above — terror over the September 14 stock meltdown, unhappiness over the Iraq War, the kick-me McCain campaign, the Obama heritage candidacy, and stay-home conservatives turned off by the traditional Republicans — aligned to give Democrats control of the Congress and presidency. Progressive astrologists predicted a series of Obamas for the next half-century. But in truth, the country was never really progressive. Until Obama, no Democrat without a Southern accent had won the popular vote since John Kennedy in 1960. And by 2010, the pushback became a near rout, within a few years, leaving the Left with its last vestige of power: a divided Supreme Court, which since the Roosevelt era had always salvaged the progressive dreams that had been wrecked in the executive and legislative branches. Trump, however, not only got elected but in matters of court appointments he also proved to be an originalist and constructionist in a way that recent Republican presidents had never quite envisioned. He outsourced his Supreme Court nominations to the no-nonsense Federalist Society and the Heritage Foundation. Progressives went regressive in their furor and demonized Trump’s picks to such a degree that there was little chance that a Georgetown cocktail circuit would ever manage to turn a Gorsuch or Kavanaugh into a Souter or Stevens. Fear grew over a future that would be even worse than the bad present. Should Trump be reelected, he might have one or two more deleterious picks yet — and perhaps even female Supreme Court justices more conservative than their male counterparts. It might prove difficult to smear a woman nominee with supposed questionable teenage behavior four decades prior. Trump’s criteria for selections seemed to be youth, strict constructionism, and intellectual brilliance — along the lines of a cohort of young Scalias. In short, the Court could no longer save for progressives what the presidency and Congress had lost them — an unfortunate downturn brought about once again by none other than the odious Donald J. Trump. 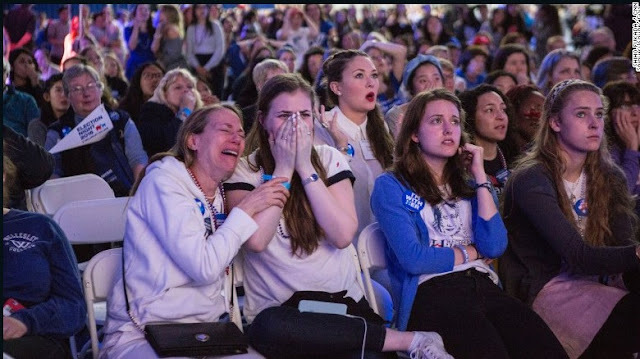 The catastrophic yet suicidal loss in the 2016 election and the disappointment over the Obama presidency radicalized Democrats. A combative Trump himself certainly enraged them, on a variety of political, social, and cultural levels. When Democrats lost, they realized that they still lived in a Republic and not a volatile Athenian democracy — and found this also hard to take. More exasperating still was the loss of the Supreme Court, the last bastion of elite brilliance and superior morality that might yet save America from the prejudices and ignorance of the irredeemables, deplorables, clingers, and crazies. 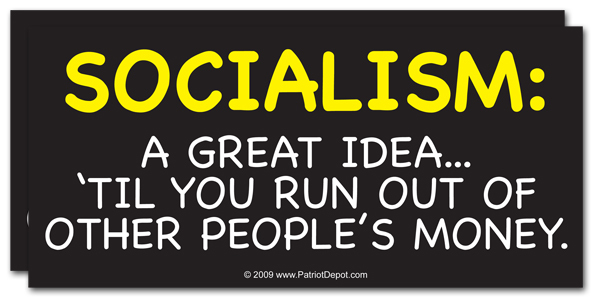 Add it all up, and it was enough to drive any liberal to binge progressive drinking.